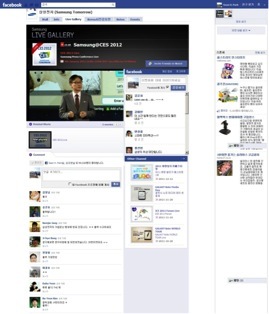 For the second consecutive year, Brightcove Video Cloud powered the live streaming of Samsung Electronics’ Press Conference at the 2012 International Consumer Electronics Show (CES), Las Vegas, US. Started in 1967, CES is the world’s largest consumer technology tradeshow. The 2012 International CES was the largest in the event's 44 year history, with a record number of more than 3,100 exhibitors across the largest show floor in CES history. 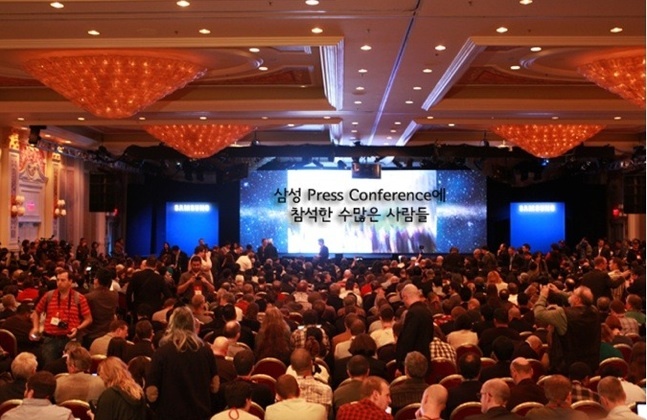 The Samsung press conference was held on January 9th in Las Vegas, prior to CES official opening on January 10th. The theme of the conference was "Pushing the Boundaries". 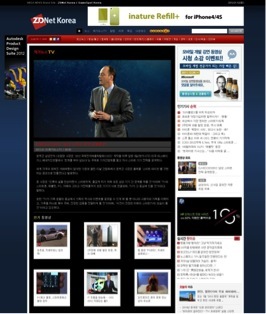 BooKeun Yoon, CEO of Samsung Electronics, was the keynote speaker at the press conference. The other speakers include: Tim Baxter (Executive Vice President of Sales and Marketing for the Consumer Electronics Division), Joe Stinziano (Senior Vice President of Sales for Consumer Electronics Division), Kevin Packingham (Vice President Of Product Innovation), and Todd Bouman (Vice President, Marketing at Samsung Electronics). 1,500 journalists and analysts attended the press event, where Samsung’s Galaxy Note was launched in the U.S. The Galaxy Note is Samsung’s latest mobile phone that offers tablet capabilities on a smart phone. The event was captured on high definition live streaming and broadcasted worldwide via Samsung Electronics Facebook and PR blog, and media websites such as ZDNet, Wikitree, inews24, ETnews, and Dong-a.com. You can view the video here. If you wish to find out more about live streaming into social media channels, contact us.